What are Germany’s odds to win the World Cup? 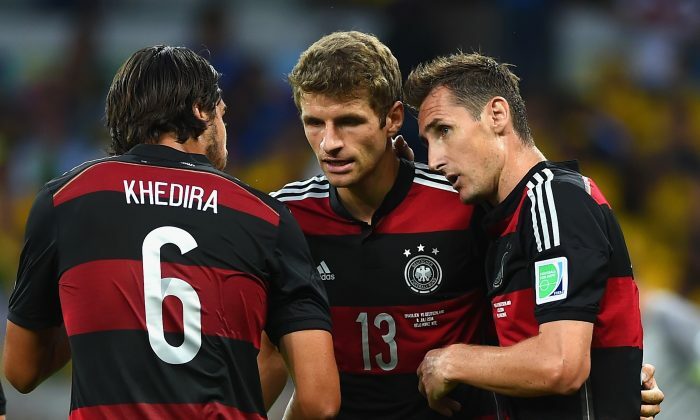 Currently, most bookmakers are giving Germany either 13/5 or 5/2 odds to win World Cup 2014. However, after Germany’s rout of Brazil in the semi finals, odds are almost certainly going to drop for the Germans.